Celebrating a special occasion with friends and loved ones? 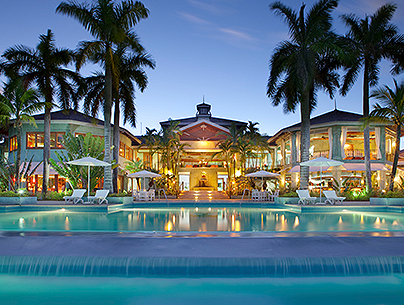 Take advantage of Couples Resorts' generous group promotions! 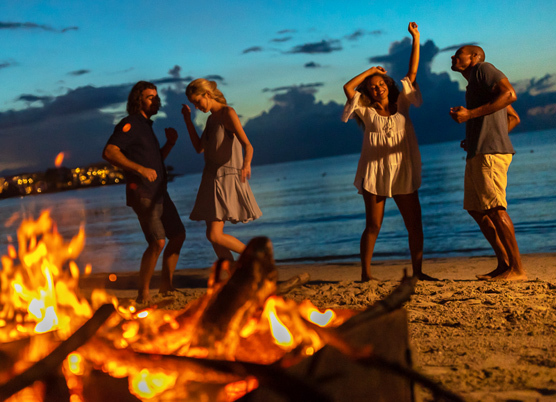 Whether it is a wedding group, contracted group or group celebration, you are sure to enjoy the distinct advantages and ease of booking an amazing Couples Resorts event. Want to learn more about visiting a Couples all-inclusive resort with your group? Contact our Group Reservations Team! Plan a winter or early spring wedding and enjoy a bundle of credits, including air and resort credits totaling $800 for the bride and groom, and a $100 resort credit for each guest room in your room block. Book from June 4, 2018. Offer valid for travel December 24 to March 31, 2018, 2019 or 2020. Minimum of 6-paid nights required. Valid for new bookings only. Air Credit will be deducted at purchase. Bride and Groom (as a couple) will receive a $300 resort credit. Guests within the wedding group block will receive a $100 resort credit per room. Must purchase a wedding or vow renewal ceremony on property at the time of booking. Ceremony ID must be presented for benefits. If the ceremony is canceled, group benefits will be removed from all bookings. Resort credits may be applied to room category upgrades (subject to availability), spa and salon services, private dinners, photos and photo packages from resort photographers, telephone charges dialed from room, general manager’s special wine list, night snorkeling, gift shop or romance packages. Rates are based on double occupancy and subject to availability. Applies to all Couples Resorts properties. Not combinable with any other promotion. Offer subject to change and can be cancelled at any time. Exchange vows in 2019 or 2020 and we will treat you and your guests to bonus nights! Book from Jan 1, 2019. Offer valid for travel April 1 to December 23, 2019 and 2020. 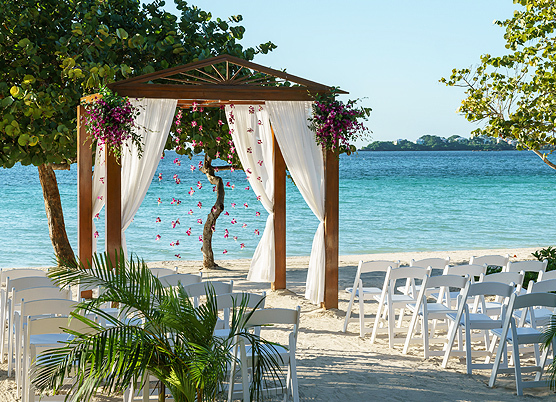 Must purchase a wedding or vow renewal ceremony on property at the time of booking. Ceremony ID must be presented for benefits. Bride and groom must stay 5 paid nights to receive 2 nights free. Guests must stay 4 paid nights to receive 1 night free. Ceremony ID must be presented for benefits. If the ceremony is canceled, group benefits will be removed from all bookings. Rates are based on double occupancy and subject to availability. Applies to all Couples Resorts properties. 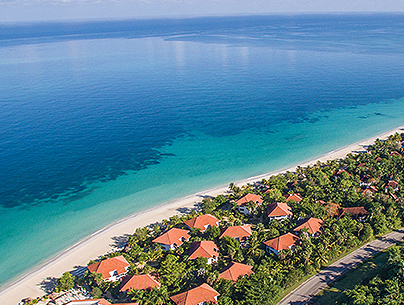 Offer does not apply to the Oasis Spa Villas at Couples Tower Isle as well as the Hibiscus Cottage and Prime Minister's Suite at Couples Sans Souci. Two rooms minimum required. Not cumulative or combinable with any other promotion. Not combinable with any other promotion. Offer subject to change and can be cancelled at anytime. 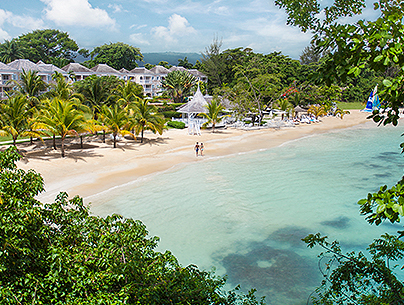 Couples makes it easier and more affordable to gather your group in Jamaica! Lock in your preferred dates and promotional rate in advance, plus score every 11th room free. Receive every 11th room free at any of our resorts! *Complimentary rooms not available for groups traveling after December 25 of the current year and prior to April 15 of the following year. 3-night minimum stay required. 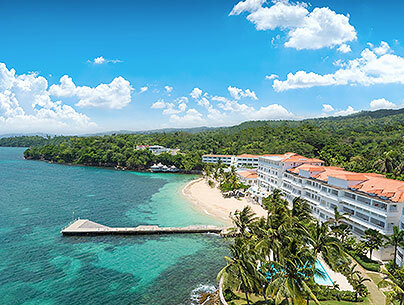 30 room max (additional rooms must be approved) at Couples Tower Isle, Couples Swept Away, and Couples Negril. 40 rooms max (additional rooms must be approved) at Couples Sans Souci. Block off the desired number of rooms for your group, and we will lock in the existing rates and hold the rooms for the balance of your group (valid until 120 days prior to arrival, after which the current rates are applied to new rooms added to the group). The quoted group rate will be the most current published rate in US dollars. A deposit and signed contract must be received within 7 days of the booking. Accommodations and rates are not guaranteed until a signed contract and initial deposit are received by Couples' Groups department. Single occupancy rooms are limited to 5% of the group total. You can add rooms to your contract at any time based on availability: 120+ days prior to arrival priced at original contract rates. Less than 120 days prior to arrival priced at current rates. The group's rooming list (names of all guests) is due 50 days prior to arrival. If the group reservation falls below 10 paid rooms more than 45 days prior to arrival date and full payment has not yet been made, any complimentary room(s) will be lost. All change requests must be submitted in writing to the Group coordinator, who will in turn forward a revised contract. Best deal guarantee policy does not apply to contracted groups. 120+ days prior to arrival, an initial deposit equal to 10% of group total is required at time of contract. 90 days prior to arrival, an additional 40% deposit is required. 45 days prior to arrival, the remaining 50% is required. *Complimentary room(s) will be based on the group's lowest category room and shortest paid stay. Each complimentary room will be subject to a $75 administration fee. Special complimentary marketing tools, including honeymoon registry, wedding website, wedding message board, and more! After making the Bride & Groom's or Group Leader's reservation, contact a Couples preferred travel agency or our Group Travel Coordinator to receive your CELEBRATIONS group number and notification of the online self-registration site. You will then gain access to the honeymoon/wedding registry and can even create your personalized 'Couples' website. 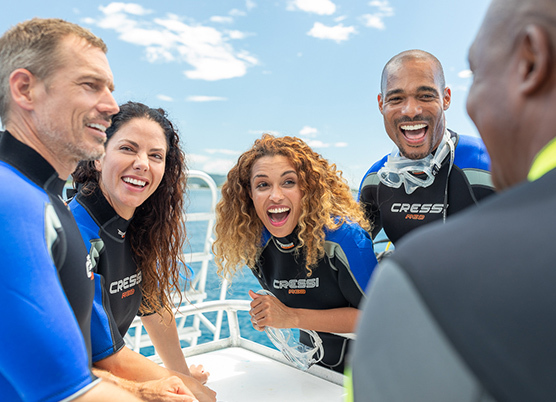 Reservations made by your other guests will be tracked by our Group Travel Coordinator; 45 days prior to arrival your group size will be determined and your special gift from Couples Resorts will be applied. As long as your Group Celebrations includes at least 10 paid rooms, the Bride & Groom / Group Leader will receive a 3-night return stay at the same resort (valid for 18 months from original departure date, blackout dates December 26 of the current year through April 15 of the following year). NOTE: 3-night return stay may not be combined with any other complimentary nights or resort credit promotions. 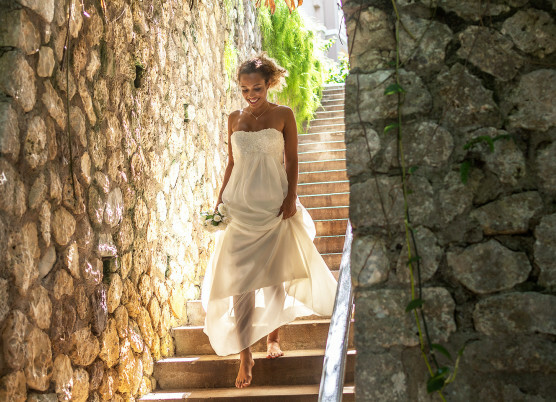 *There are no complimentary rooms during the wedding stay by choosing GROUP CELEBRATIONS. To receive the one complimentary room during your next visit due to 10 paid rooms during the wedding stay, a GROUP CONTRACT needs to be signed and subsequent deposits and rules would apply. Group Celebrations benefits are not available for groups whose travel dates start after December 25 of the current year and before April 30 of the following year. These rates are for information only, promotional rates can change at any time without notice and in case of discrepancy Couples Resorts reservation center will take precedence.